As I mentioned last week, I’m using the wait for the Triple-O knife to do some redesign work. Here’s a picture of a pre-production prototype for the new sheath. 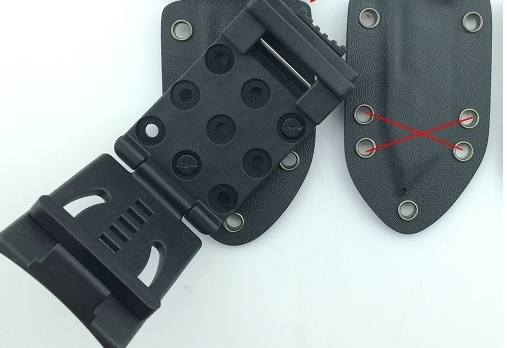 As you can see, in addition to vertical and horizontal mounting on the belt clip, it now allows for a 45 degree cant. This will give you more choices in placement, and should prove especially useful for crowded police belts. The goal is to deliver the best possible products to you, so your feedback is always taken seriously!